Bill of Materials (BoM) is a document that contains the description of the components, the quantity of each component, routing and the obligatory steps required to manufacture a product. 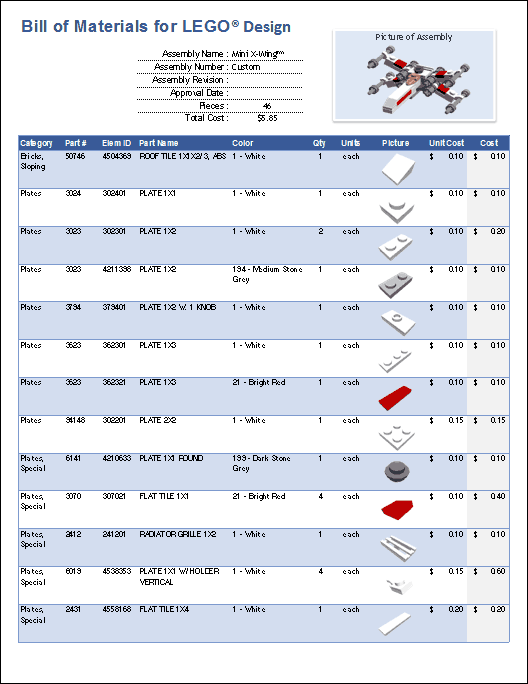 Here you can see some widely used templates of the Bill of Materials. Component specifics (name, number, description, quantity, unit of measure, size, length, weight etc). Usually, BoM is integrated into the ERP system. You can see how it has been implemented in the EasyERP system.